Road Pickle Part 3 Begins! Four months is a really long time to live in the same place. Even though Sash and I have had some good times here, and we made some new friends, I really feel the need to make like a tree and leave. And that's what we did this afternoon. We finally left our Winter retreat in San Diego and got back to our Road Pickling ways. We headed east to Arizona, en route to Tucson for some 25 days. 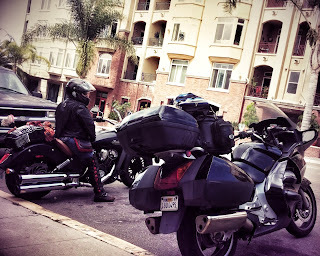 From there we'll head up to Scottsdale for Arizona Bike Week. As I write this, I'm sitting at a desk in a comfy hotel room in Yuma, AZ. We're only here for just the night. Tomorrow, we arrive in Tucson. After Arizona, it's a long trip up the Pacific Northwest to Seattle, then down through Idaho, Wyoming, and Colorado. Originally, we decided against returning to Sturgis, SD for the 75th annual rally, but we've changed our minds. We'll be there primarily to show our support for Indian Motorcycles, considering Sash has had their new Scout for a few months. Throughout the trip, we'll also hit up Nebraska, Iowa, Minnesota, North Dakota, Kansas, Oklahoma, Texas, and New Mexico. As it turned out, the Indian Scout that Sash got on loan for two months from Indian Motorcycles is now hers to ride indefinitely, except she has to keep it within Southern California. 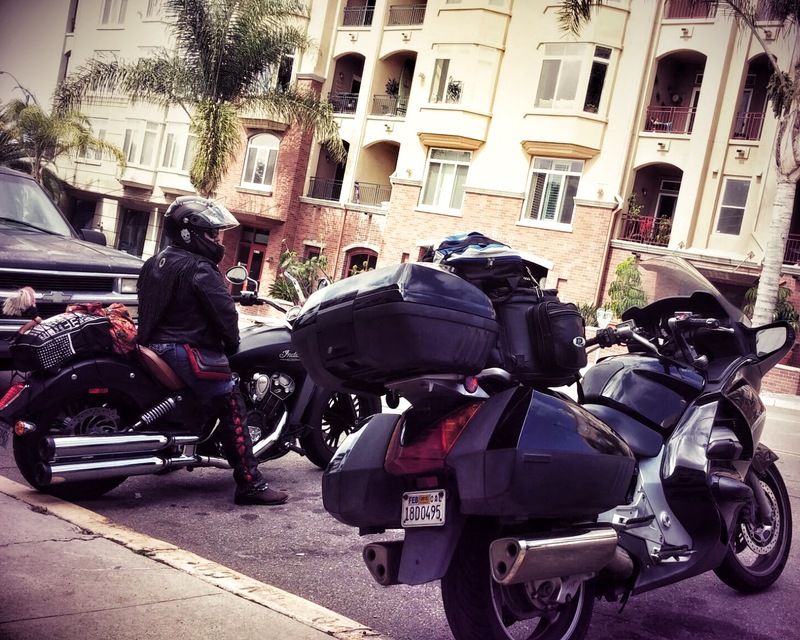 Since that doesn't fit into our Road Pickle plans, Sash talked to them about taking it on our first month of Road Pickle through Arizona, and exposing it to a couple of motorcycle events, including Bike Week. They agreed. Our plan is to return it to Indian at the end of March when we make our way north through California. It seems Indian really likes the website we built for the Scout, which in turn has apparently referred some sales to an Indian dealer in San Diego. It's interesting how much coaxing and relationship-building it took for Sash to get the Scout from Indian, but now that she has it, they're eager to let her hold on to it. But Sash is still intent on getting another Scout. Maybe when we get back, they'll loan her next year's model? The four months we've been in San Diego have not been a hibernation by any means. We landed some new business which we feel hopeful will generate more income for our nomadic lifestyle. Sash is looking forward to stopping at many taco shops across the country. I'm looking forward to stopping at many craft breweries. Hopefully, the two of us won't be stopping any time soon. We're both so happy to get back to our Road Pickling ways. It feels like home. El Centro, CA Another shot of our bikes parked in front. desert, with Border Patrol keeping an eye out. Road Pickle tour. Finally leaving California and entering Arizona! Just one word. Envy. I so want to ride and love what the two of you are doing with living on the road. How refreshing it is to read about people who changed their lives in order to do what they really want. Good for you! Sounds like you two are so happy to be back in the saddle for a road trip. Very cool that Sash got to take the Scout on the first section too. I'll be following along. Safe travels to you both. My Wife's New Book Is Now On Sale!